MrPopo wrote: Sounds like it's time for someone to mosey into the PC Hardware thread and get some upgrades going. Underrated game that is easily dismissed by the title and wii shovelware stereotype. My wife finished it the summer after we moved int our house (we have two corgis so the fact you could play as one was HUGE for her). I hope to re-obtain it for my daughter in a couple of years. ^ Thanks. I'll add them to my list! (I do have Fishing Resort). Yeah, Baba Yaga was fun. The only complaint I had was there was one document that needs a mobility upgrade you won't have by the time you can first access the DLC, and it's after you've finished the rest of the DLC. It was an unnecessary bit of backtrack. Ah yeah I can see that. I didn't play the DLC until after I had beaten the game so didn't notice. Stark wrote: Ah yeah I can see that. I didn't play the DLC until after I had beaten the game so didn't notice. Right, since you got the Xbox One version. They launched it with the PC version so I just picked it up and did it immediately. The nice thing is that unlike Borderlands DLC this was appropriate to play at the start or on a cleared game because the nature of the game is different. The combat upgrades you could have don't matter too much because combat isn't the focus. 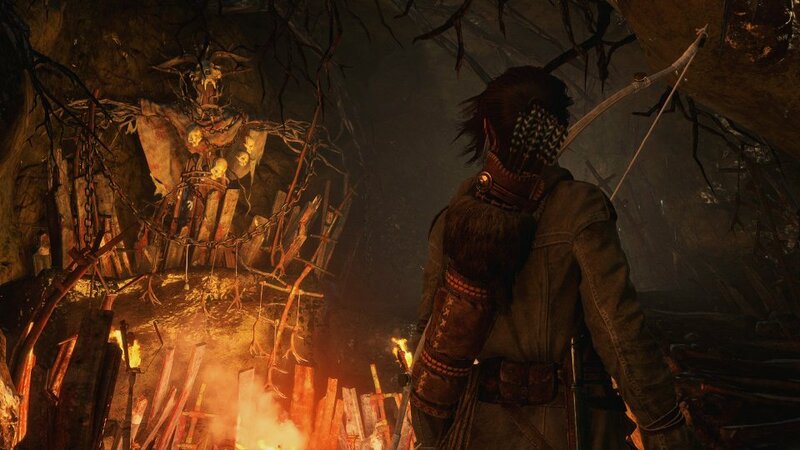 I LOVED the reboot, so I really want to play Rise of the Tomb Raider. I'll probably wait and pick it up for PS4 later this year, though. This was a semi recent pawn shop pickup that I recognized as having a relation to Rock Band. Price was good and it is in great condition, so I didn't hesitate to grab it. Today I beat the game in Normal difficulty. I immediately found myself liking the game and disliking the choices of music (for the most part, I really think there are only 2 songs on this disc that I would listen to outside of playing the game). The gameplay however was addictive enough to me that I stuck with it. Right up until the last "boss song" I tended to succeed without too much need for retrying. That last song turned into a bit of a grind as I repeatedly failed in and around the middle. Eventually though, I made it through (just barely). If you enjoyed the Guitar Hero and Rock Band series for their game-play and not just for how fun it is to pretend to be a rock star, you should try this one out. I could see myself playing the tougher difficulty levels if the music was more appealing to me, but for now I'm satisfied with passing it on Normal.